When you hear about the steel buildings, the conversation usually steers towards Quonset huts, also known as steel arch buildings. This multipurpose steel building originated during World War II, when the US Navy commissioned the first Quonset huts because they were easy to erect construct and very easily transported by truck rail or overseas. At the close of the war, the military sold thousands of Quonset huts to the general public for business and home use. With a little ingenuity, people were able to turn basic these basic huts into small retail shops, homes man caves or general stores. Today, the Quonset Hut Kits provides quality prefabricated structures for businesses and homes to use as garages, airplane hangars, barns, warehouses, and even Quonset Kit have been used for homes. The Quonset hut is made entirely deeply corrugated steel that features interlocking metal ribs that form the semicircular roof or the arch of the building. Oldtime Quonset Huts had plywood surrounds the steel frame and sides with openings for windows and doors. Once constructed, Quonset huts could be placed on concrete, wood floors, or on pilings. The lightweight design is both durable and weatherproof, and provides adequate shelter or storage. Instead of traditional construction which is expensive and takes a long time to be plan and build, a Quonset hut can be built in much less time and for a fraction of the price. Rather than creating the structure on site, factory workers fabricate the building parts. Once completed, they can be shipped to your site and installed where you need the building. Unlike traditional buildings or even certain types of steel buildings, the simple design of an arch steel building doesn’t allow for much customization. You can only install doors and windows in the end walls of the unit and may have limited overhead clearance for certain uses. Some Quonset huts are “do-it-yourself” kits that you assemble from parts and instructions shipped directly to you. While you can save money this way, you wouldn’t have access to experienced builders and would need to call the manufacturer for assistance. It’s best to spend the extra money to have a professional install your Quonset hut. 1. What type of Quonset hut do you want? Depending on the type of business you run, you’ll have four styles available: “full arch” or Q Series, “mailbox.” Or S Model A full arch Quonset hut has a traditional semi-circle that holds more weight while mailbox Quonset huts have more of a curved roof with straight walls that are more aesthetically pleasing. The P Series is a more residential model with straight sides and a pitched roof. 2. Where are you located? You need to check for local zoning restrictions before ordering Quonset huts. It would be a waste of money to purchase a structure only to find out you’re not allowed to have one on premises. 3. How do I buy Quonset huts? You can perform your own online research by selecting different providers and comparing service offerings, let a company that has been in the Quonset business for at least 10 years help you. They’ll find out what type of structure you’re looking for and help you decide if Quonset hut is the way to go, or if you’d benefit more from another type of steel building. 4. What are my options? Ask the Manufacturer which options are available such as size, steel thickness, open interior space, and overhangs. You should also have the dealer evaluate your site to ensure you have enough space to accommodate a Quonset hut. 5. What if I need a different type of prefab building? If you need a more customizable and flexible solution than a Quonset hut, consider rigid frame (or straight wall) buildings. These feature steel skeleton frame with flat steel panels for roofs and walls. You’ll also have far more customization options than you would with Quonset huts. 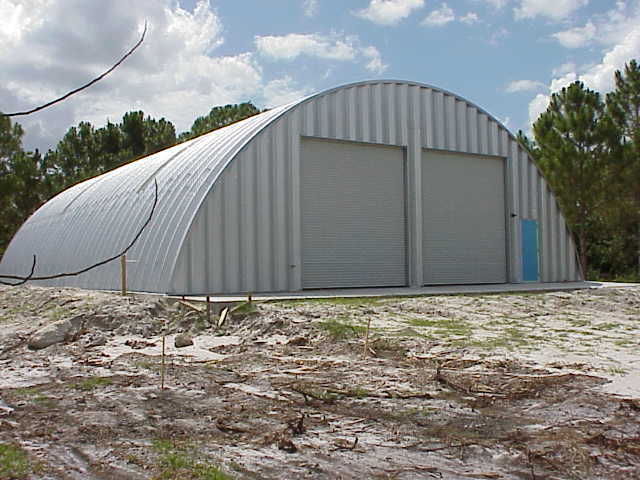 Powerbilt Steel Buildings is a leading provider of Quonset Huts and metal garage buildings.